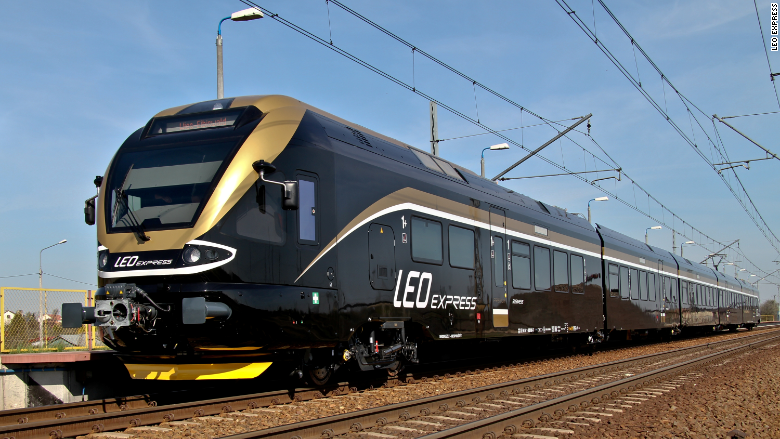 This Czech company wants to bring Euro-style trains to the U.S.
LEO Express has a bold plan to bring privately funded, European style passenger trains to the United States. Many Americans have long pined for fast, modern, affordable trains like they have in Europe. They may soon get their wish. A Czech upstart called LEO Express has plans to bring privately-funded, European-style trains to select markets in the United States as early as 2017. The company has been servicing central Europe for the last couple years. It now competes with state-run railways serving 30 cities in the Czech Republic, Poland and Slovakia. CEO Leos Novotny says the U.S. rail market -- dominated by government-subsidized Amtrak -- is ripe for innovation. "With airlines and taxis disrupted, railways are clearly next," said 30-year-old Novotny. "U.S. railways are even more inefficient than European ones." He said they're considering several routes to connect cities in the New York, Chicago and San Francisco regions, though he wouldn't offer any more specifics. Related: why doesn't the U.S. have better trains? The plan is to run the trains over existing tracks owned by both Amtrak and private freight companies -- for which LEO would pay a fee. Novotny said he's had informal conversations with Amtrak, and that several freight companies are interested as well. 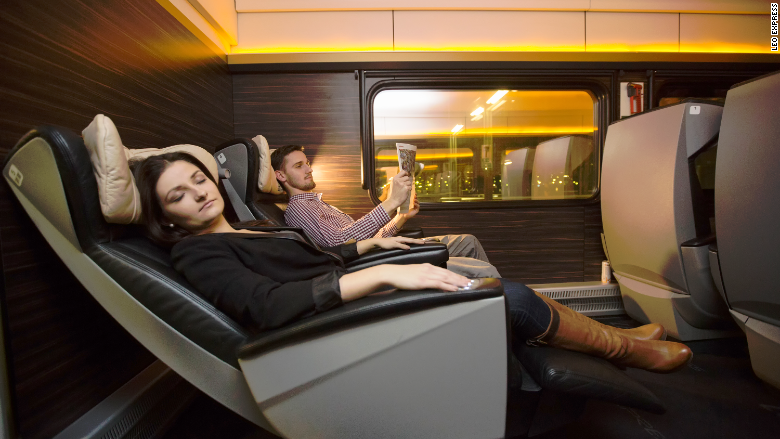 The train cars themselves are everything you'd expect, with "ambient lighting, spa-like music, ergonomic seats, free wifi, great coffee and delicious food," said Novotny. Key to his plan for faster, cheaper train travel is the ability to run lighter, all-aluminum trains -- which consume much less energy and put less wear and tear on the tracks. These lighter trains -- common in Europe -- were effectively banned in the United States over concerns they wouldn't fare well in a collision with a freight train. But these rules are reportedly being relaxed, and Novotny said the government has already OK'd the train he'd like to use. The Federal Railroad Administration did not respond to a request for comment. It's an ambitions plan, but Novotny has apparently had success in Europe. He said LEO Express moves over 4,000 people a day, employs 170 people, and has raised over $50 million in funding from investors including Credit Suisse. He's also riding a wave of private-sector investment in U.S. transportation infrastructure. Partnerships between private firms and governments are on the rise, and private companies are also exploring the idea of building high-speed rail networks in Texas, Florida and the Northeast. Private intercity bus carriers are also doing a booming business, driven by a rise in urban living and mobile technology that allows people to work while they ride. Novotny will be banking on both these trends as he tries to convince Americans to take the train.